Tourism is a top industry in Florida, and hotels, with a record 95 million people visiting the state in 2013, are among the biggest benefactors. Additionally, many residents vacation within their home state (sometimes referred to as a “staycation”), taking advantage of all the many prime destinations Florida has to offer. But as hotel and property owners profit, they also must use reasonable care in ensuring their guests are protected from hazards. At Associates and Bruce L. Scheiner, Attorneys for the Injured, our hotel injury lawyers have seen many cases in which hotel owners and property managers cut corners in order to boost their bottom line. That has ended disastrously – sometimes tragically – for guests who had a right to expect better. One of the main ways hotels fail in their duty is by leaving guests open to the possibility of a slip-and-fall in various locations throughout the property. Failure to prevent or promptly address spills in common walking areas. However, just because you suffer a serious fall inside a hotel doesn’t necessarily entitle you to damages. Since 2010, with the passage of Florida Statute 768.0755, the burden of proof has been raised for plaintiffs in Florida slip-and-fall injury lawsuits. The law holds that if a person slips on a transitory foreign substance, the injured person must prove the hotel knew or should have known about the hazard, and should have taken action to remedy it. Prior to that, courts may have considered elements of actual or constructive knowledge, but they were not central to the case. Slip-and-fall cases where there is evidence the hotel had actual knowledge of the hazard are going to be on be best legal ground. That could mean showing a log of prior complaints on the roof leaking in a certain spot, leading to a wet floor. It could mean staff was aware of the danger because one of their own created it (i.e., by mopping, spilling a drink, etc.). However, in most cases, solid proof of actual knowledge will be sparse. Most hoteliers aren’t apt to concede, as they recognize it could help your case. That means your premises liability lawyer will have to establish constructive knowledge by laying out the circumstantial evidence. The condition occurred with regularity, and was therefore foreseeable. For example, let’s say a patron walks in from an afternoon rainstorm and slips on the wet floor in the tile lobby. The hotel might argue it only started raining 15 to 20 minutes earlier, and therefore not enough time had passed for the hotel to reasonably act in placing non-slip mats by the door or posting “Wet Floor” caution signs. However, during the rainy season in Florida (typically June through September), rain occurs almost every afternoon, particularly in South Florida. Plaintiff might argue that because this condition occurred with regularity, it was foreseeable to staffers who should have been prepared to immediately address the situation. The facts of each case are going to be different, so it’s important to consult with an experienced hotel injury lawyer in Southwest Florida before deciding how to proceed. One of the key ways hotels seek to eliminate or minimize liability in these cases is by asserting comparative fault. That is, the injured patron is mostly or partially at-fault for what happened. Because Florida follows a pure comparative fault model, no amount of fault on the part of a patron is going to bar a claim entirely. (That is, a plaintiff could be 99 percent responsible for his own injury, and still collect damages on the remaining 1 percent.) Still, the less an injured person is found responsible, the more valuable the claim. In hotel injury litigation, it’s common for defendants to allege intoxication as a factor in determining comparative fault. After all, when people are on vacation, they have a tendency to imbibe more than normal. However, this does not relieve the hotel of its duty to use reasonable care in ensuring a property is in safe condition for business invitees. 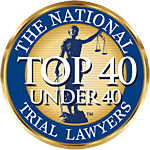 Take, for example, the case of Normann v. Newport Channel Inn, where a 25-year-old patron was found in a hotel parking lot, having suffered a skull fracture and severe traumatic brain injuries. His blood-alcohol content was more than three times the legal limit at .267 percent. When he awoke three weeks later from a coma, he had no recollection of what happened, and there were no witnesses. However, using circumstantial evidence, his injury lawyers were able to prove the hotel was negligent in failing to maintain the railing on the second-floor balcony, which was eight inches lower than state codes required. Ultimately, the guest was found to have 15 percent comparative fault, but still garnered nearly $33 million in damages from the hotel. Areas like balconies and terraces can be especially dangerous if hotel staffers fail to address slippery conditions on those surfaces. Hotel swimming pools and bathrooms are some of the most common site of injuries. While it’s true guests should expect these areas to be wet and use proper caution, hotels are not relieved of responsibility for maintaining these areas in safe condition. While defendant hotels may argue in litigation that such dangers were “open and obvious” to patrons who had a responsibility to act accordingly, the fact that such hazards were knowable to the defendants works in plaintiff’s favor. For example, if hotel staff knows that one of the steps near the pool is worn down, it has a duty – knowing children and other guests are going to be walking in area while wet – to initiate immediate repairs. Alternatively, the hotel should offer guests a warning, so they know to watch out specifically for this danger. In the recent case of Slaats v. Sandy Lane Residential LLC, defendant hotel owner claimed they had no liability for a woman who slipped and fell on a step-down as she exited the pool area. Defendants argued it was not liable because the danger was open and obvious. Trial court granted defense motion for summary judgment. However, Florida’s Third District Court of Appeal reversed, finding merit to plaintiff’s claim that she could not see the step-down because it was uniform in color to the rest of the pool and the sun was shining directly in her eyes. That made the slippery drop sudden and unexpected, and therefore meant there were material issues that precluded summary judgment. Bathrooms too pose an especially serious risk in hotels. Yes, bathrooms can be inherently slippery. However, hotel managers should know this, and provide anti-slip mats, appropriate shower handles and other safety features that can help reduce the risk. These cases can result in severe injuries, including head and neck trauma, spinal cord damage, broken bones and soft tissue damage – all of which can result in high medical bills, absence from work and, in some cases, life-long impairment. It’s important not to let the hotel management off the hook for negligence. If you or a loved one has been a victim of a hotel slip-and-fall in Southwest Florida, contact Associates and Bruce L. Scheiner, Attorneys for the Injured, for a free and confidential consultation to discuss your rights. There are no fees or costs unless we win. Offices in Fort Myers, Cape Coral, Naples and Port Charlotte.